Bandai Namco Entertainment has announced that they will be releasing One Piece Bounty Rush, a new 4 vs 4 real time mobile battle game, later this year on Google Play and the App Store. Based on the excellent anime series, One Piece Bounty Rush will have pirates sailing up the Grand Line, assembling teams and taking on opponents. Check out the new trailer below…. In One Piece Bounty Rush players will have the opportunity to assemble teams of four pirates from a roster of over 40 characters from the beloved series. Fans of the anime can expect the full line up to include all the heroes from the Straw Hat Crew, including Luffy, Zoro, Nami, Sanji, Usopp and Chopper, Luffy’s inspiration and mentor Red Haired Shanks and some of the crew’s most fearsome opponents such as Buggy the Clown, Arlong the fish-man and Crocodile, the former leader of the crime syndicate Baroque Works. Working as a team has always been a strong part of the anime and One Piece Bounty Rush is no different, allowing players to team up with friends and battle it out against others around the world. 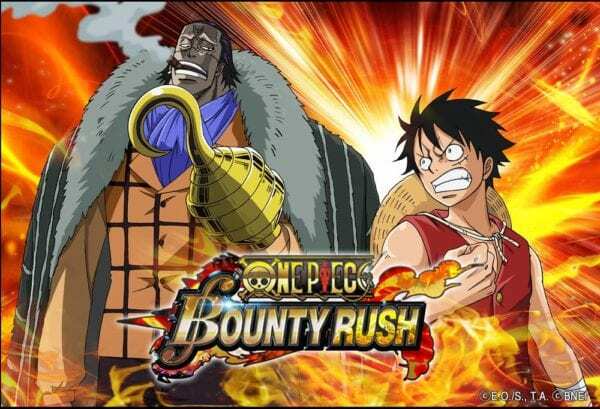 One Piece Bounty Rush will be available in 2019 as a free download on both Google Play and the App Store.